You can now find the right topics to target and rank for, considering search volumes, difficulty or content performance. Discovering new ranking opportunities & identifying the keywords it's worth investing in is now easier than ever. Our keyword research tool is not just a Google Keyword Planner alternative. You will instantly get keyword ideas & topics insights that you won't find elsewhere. Our keyword research tool offers relevant keyword recommendations coming from multiple sources: our Own updated and massive database, Google Keyword Suggestions and Google Autocomplete as well as other keyword database sources. The SEO Keyword Tool will help you discover thousands of profitable, targeted keywords & topics, including the exact keywords that people are typing into the Google search box. Even if you are looking for short, medium or long-tail keywords, our research tool will give you the best suggestions and insights for the best content creation. You will not just easily visualize the top ranking pages for any keyword or topic but you will also get to know the reasons why those websites are ranking so well. By doing a Google SERP reverse engineering, you will get access to the optimization strategies used by the top ranking pages. If you want your content marketing strategy to pay off, you will need to properly optimize your content around the right keywords. 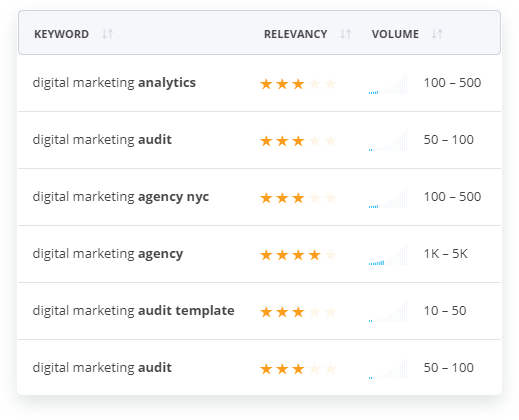 Our keyword research tool will tell you which are the exact keywords and phrases you need to use to secure your place in the top rankings. You will get to know what are the keywords that boost your competitors' rankings and uncover any websites' content strategies right away. Based on Google's Semantic Search, our Content Assistant Tool will give you the exact keywords recommendation you should follow to fully optimize your content and rank higher. You can bump up your on-page SEO & become an authority in your niche by crafting topically relevant content for any set of targeted keywords. You will be able to create the perfectly optimized content, meant to rank in top Google positions. We've conducted a research on 30 000 keywords to understand if and how content impacts Google's rankings. We've discovered that the pages that had a high Content Performance Score rank better. The Content Performance Score is a metric created by cognitiveSEO. It's based on natural language processing and cutting-edge semantic algorithms. The score tells you how well optimized any web page is, from a content point of view. Check out the complete research here. How long will it take until I see any ranking improvements? Of course, it all depends on the context, and there is no general rule for this. Usually, our users saw improvements in rankings in the first 24 hours or a couple of days after they've used our tool. You can read their full stories here. The optimization process for any web page can take between 5 to 30 minutes. After this process is complete, you need to ask for indexation within Google Search Console. Once you do this, it's up to Google how much time it takes until it crawls and indexes your freshly optimized content. 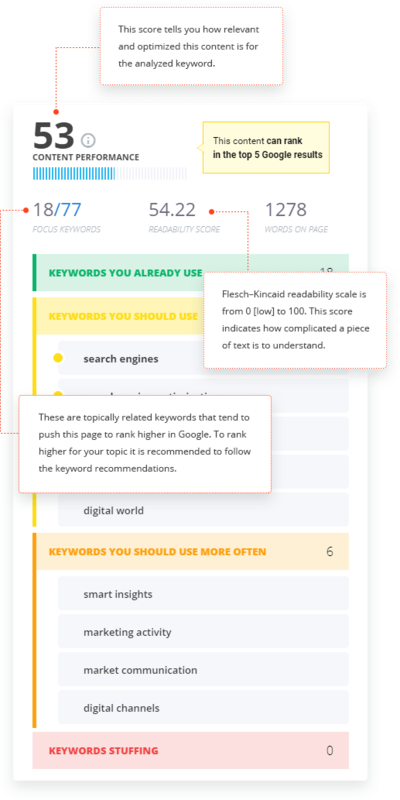 How is cognitiveSEOs' Keyword & Content Tool different than the other keyword research tools? There are lots of keyword research tools available, yet, there's no other tool like this out there. And this is because our tool is not just a simple keyword explorer. It also offers the exact methodology one should follow to improve their ranks. On the top of it, it offers way more recommendations coming from multiple sources: our own updated and massive database, suggestions and autocompletes from multiple search engines, and many others. What else do I get when I buy the Keyword Tool? 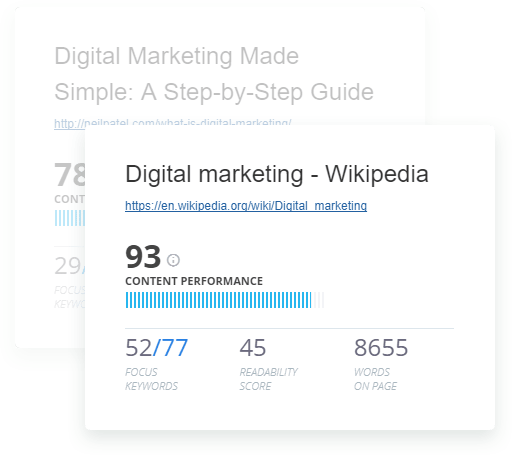 The Keyword Tool and Content Assistant comes together with a suite of SEO tools that allow you to monitor both your site and your competitors at a fair price. More details about plans and pricing can be found here. Does the Content Performance score predict a higher ranking? We know that correlation does not imply causation. From our Massive SERP Research and our users' experiences combined we did find a strong correlation between higher content performance scores and higher rankings. A high content performance score cannot guarantee a better rank! Still, a high content performance score significantly improves the chances of ranking higher. Free for 14 days, then only $99/month.